Welcome to "Eagle's Crest," a luxury 2-bedroom cabin in Pigeon Forge, TN! 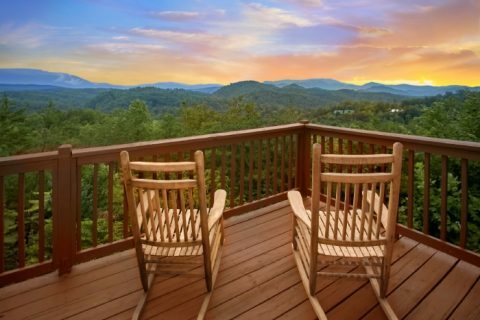 This resort cabin only minutes away from Dollywood sleeps up to 6 guests and is ideal for a small family vacation. 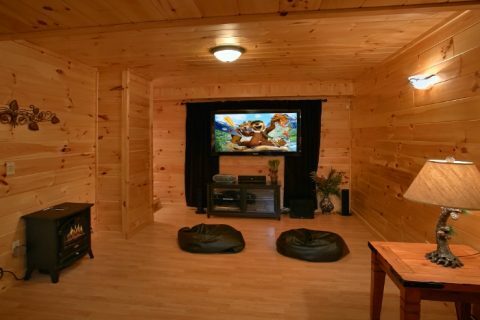 As soon as you step inside the main level of this luxury cabin, you'll be glad you spared no expense on your vacation. 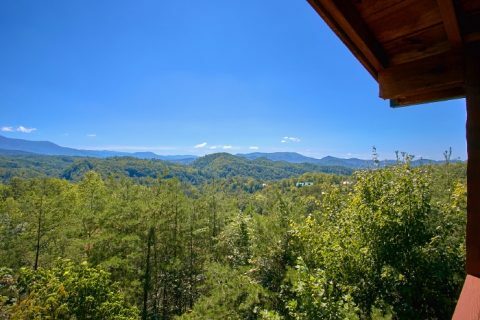 Your cabin's open floor plan and large windows show off its beautiful mountain views and let in plenty of natural light. 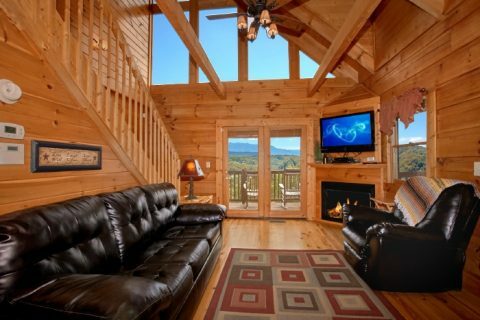 This cozy space also comes with a gas fireplace and 42" HDTV for relaxing in the evening. 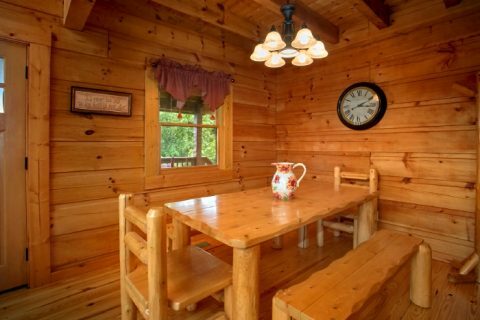 There's also a full kitchen and dining table with seating for 6 to enjoy family dinners in the comfort of your cabin retreat! 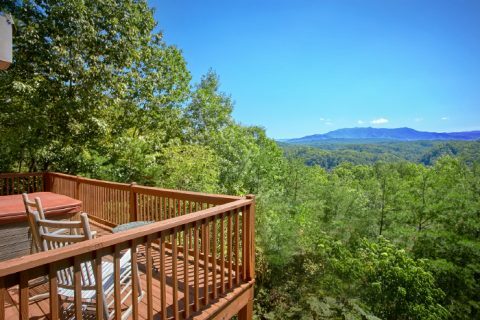 This level affords guests access to a lovely deck complete with a 6-person hot tub, a porch swing, and an incredible view. 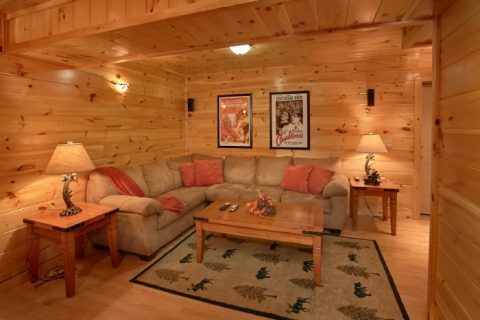 In the lower level of your rental close to Dollywood, you'll find a home theater system with everything needed for a quality movie-watching experience: a 58" Plasma HDTV, Blu-Ray DVD player, surround sound, and a comfortable sectional sofa. 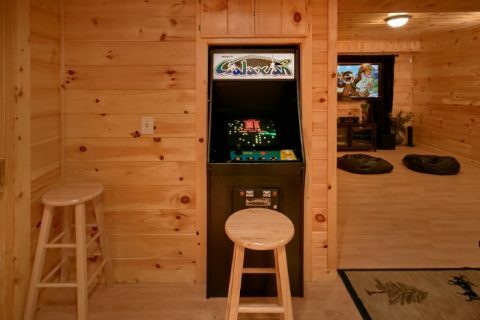 For even more fun, there's also a sit-down arcade game with 60+ classic games to enjoy! 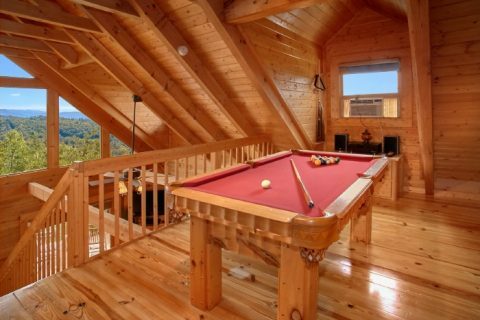 The top level of your luxury cabin is home to the game room with a pool table and stereo. 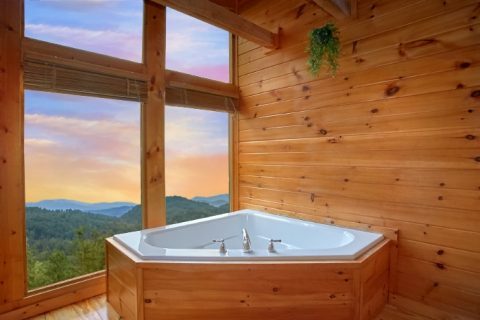 This room also features beautiful mountain views, so you can work on your pool shot with some beautiful scenery as your backdrop. 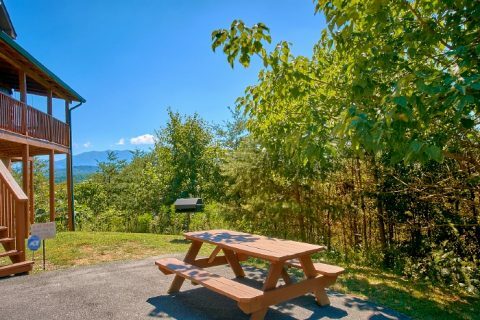 For a relaxing picnic, this rental features a yard area complete with a charcoal grill and picnic table for enjoying some delicious roasted food. 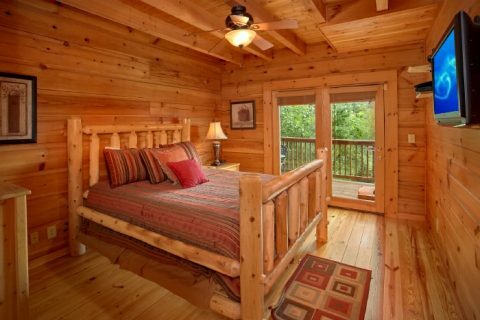 Other great conveniences in your cabin include WiFi Internet and a washer & dryer. 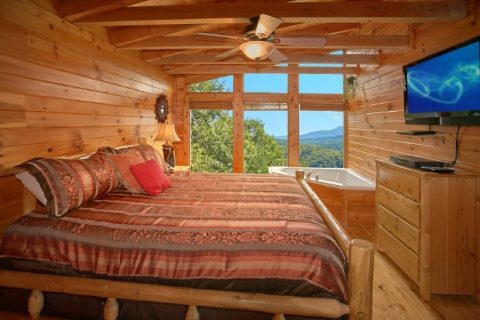 Once it's time to get some rest before your next day's adventures, this cabin features a queen size bedroom on the main level, a king-size bedroom on the upper floor, and an additional sleeper sofa in the living area. 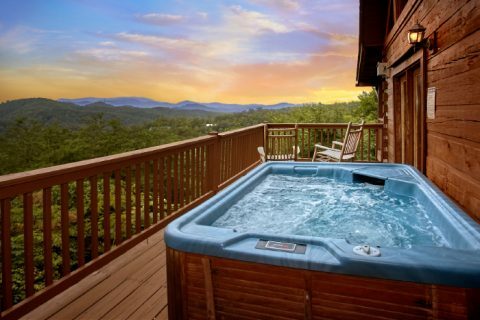 The king suite even offers a private 32" TV, DVD Player, and a full bath with a jacuzzi tub. 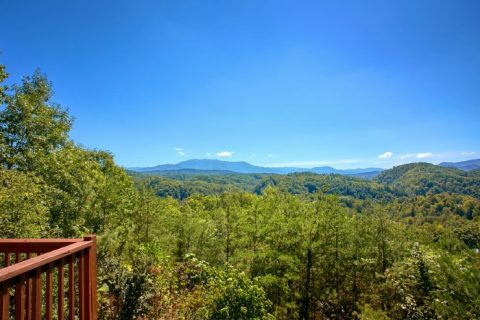 Book "Eagle's Crest" online with Cabins USA for your vacation and experience discount savings of 15% on your luxury cabin. 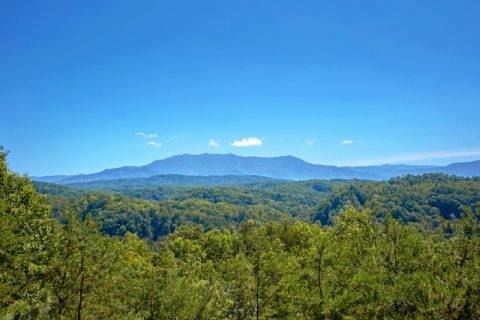 Stay minutes from the heart of all the action in the Smokies and bring your family to a truly beautiful part of the mountains!